Collecting information on this iconoclast. Benjamin DeCasseres made a number of radio appearances. 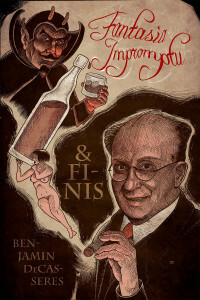 In 1925 he produced a number of shows on the subject of one of his books “The Forty Immortals”. There is a series of announcements and recaps of a few of those episodes published in the Brooklyn Daily Eagle. It is completely unknown to me if any recordings exist of them, but I’ve done my best to compile all the references I could find below. WEVD (originally broadcasting at 1220 AM, later on 1300, for many years on 1330 and finally on 1050), was an American news-talk radio station launched in August 1927 by the Socialist Party of America. Making use of the initials of recently deceased party leader Eugene Victor Debs in its call sign, the station operated from Woodhaven in the New York City borough of Queens. Wednesday: “Benjamin DeCasseres, since beginning his series of talks on “Forty Immortals,” is now safely entrenched as the aerial ambassador of world geniuses. 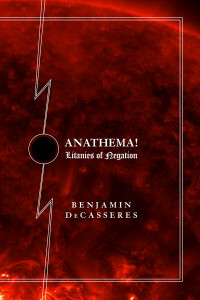 Mr. DeCasseres will be a featured speaker on the station W O R wednesday evening program, when he may be depended upon for another of his interesting and intimate glimpses of contemporary writers. W O R put a lot of pep into the atmosphere last evening by broadcasting a bike race that took place at the Newark Velodrome. 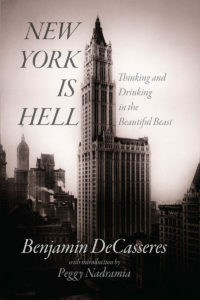 Is is a far cry from a motor-paced bicycle race to ralph Walso Emerson, but a short time before chug chug entertainment, we had the pleasure again of hearing Benjamin DeCasseres, who has made a close study of immortals, and knows they whys and wherefores of at least 40 of them. He told us that Emerson’s phrase, “Do the thing you fear to do” inspired him so that he bought all the Emerson books and read ’em eagerly. Sounds a bit like John Very American Weaver, but after all, even a writer of Mr. DeCasseres’ class must be allowed a little leeway, once in a while. He told us an interesting tale of how Ibsen, after he read the London criticisms of his “Ghosts,” planted a fresh bottle of brandy on the table, and started another play. We had never heard before just how Ibsen got his inspiration, but any one who couldn’t write some sort of a play, with a quart of brandy to lubricate the works, would be a good deal of a dumbbell. Edgar Saltus also came in for a fine boost from Mr. DeCasseres. It appears, according to the speaker, that many people think Saltus is still alive, because he died on the same day as Caruso, and his “obit” was lost in the rush. We enjoyed quite a bit of chuckle when we heard the speaker dilate on the snobbishness that is the principal characteristic of most of us. We are inclined to think that if there is one bricklayer in the U.S.A., who goes around doing anything of the sort, he would be called something by his fellow-bricklayers, and while it might rhyme with “snob,” that would positively not be the name. Speaking of Ibsen the other evening Benjamin DeCasseres said one reason why the Norwegian dramatist was pessimistic was that on the street where he was born were a cemetery, a jail and a house of questionable repute. Anyway, the old gentleman got a chance to observe some important things at first hand. We found it quite inspiring to listen to Mr. DeCasseres’ praise of Ralf Waldo Emerson, and we are going to look over his works, to see if we can get the same uplifting viewpoint that the speaker claims he got from reading just one of the essays by R.W.E.